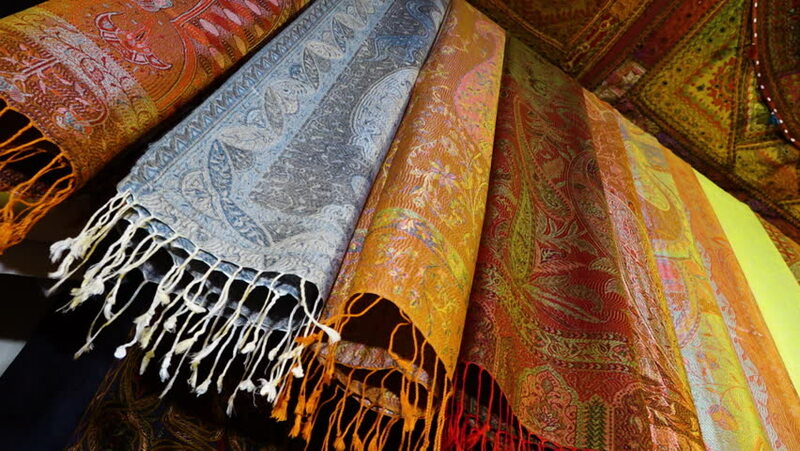 A low angle shot of colorful scarves hand crafted in Afghanistan. hd00:07A low angle shot of colorful scarves hand crafted in Afghanistan. 4k00:08Close-up female seller hands puts smoked salted Greenland halibut in shop window at fish shop to ensure quality and goodness of food product. Concept: Asian cuisine, delicious food, fish market. 4k00:10Showcase with Fresh Sea Fish in Ice on the Street Market. Fish market in Batumi, Georgia.